I made a morning run to Home Depot to buy an array of building supplies. I just realized I did not buy any tools to use for some of the materials. I will have to go again. You know you have gone too many times to a place when you know the layout better than the employees. Yesterday the mini splits and electrical wiring was completed on the upper floors. I am only waiting on the plumber to do his stuff which should be completed today. Both the drywall and the stone installer did not show up yesterday and will not show up today. However they both promised that tomorrow morning at 7:00 am they will be there. I will believe it when I see it. The water heater blocking our entry/exit. What I did see was that Home Depot delivered the 75 gallon water heater to our apartment. Usually they are in a box a little bigger than the actually tank. However since this one was shipped by the warehouse it was wrapped in a wooden frame on top of a pallet. It is about 36.78”x36.23” and it covers the entire front door. Lucky for us we have a back door. It reminds me of the time Daniela told me to buy 5 tons of fertilizer for our home in California. Instead I bought 12 tons and it blocked the entire driveway! Good Times. 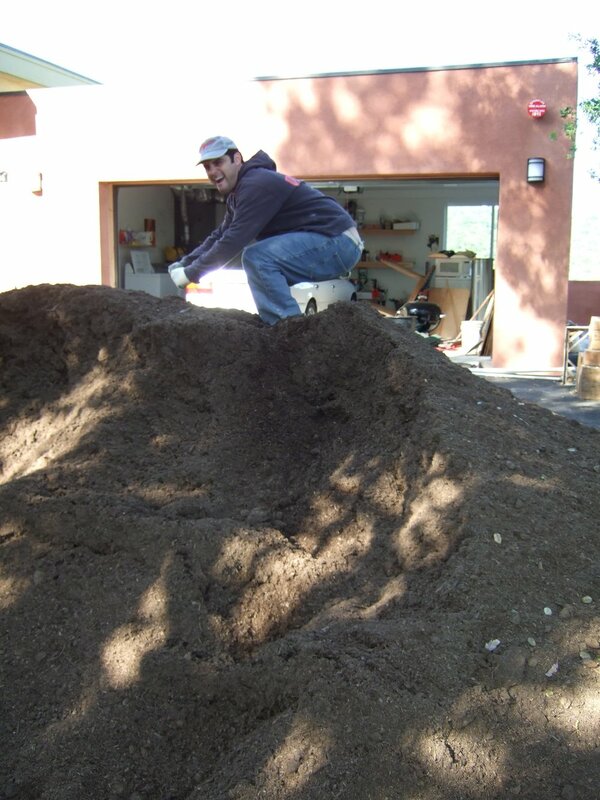 Back in 2007 when I order 12 tons of fertilizer for a 5 ton job. This is about half of the mound. Somewhere in the background is a garage and house.